Education: I hold a Master’s in Social Work (MSW) since 2010 specializing in Trauma, Grief and Loss, Addiction and Personality Disorders. I hold a Master’s in Adult Education (MAT) since 1998 from Gonzaga University specializing in counseling specific to learning disabilities, child, marriage and family dynamics and codependence. I am a certified clinical hypnotherapist (CHT) from the ACHE (American Council of Hypnotist Examiners) since 2001. I am a practicing critical care nurse working part time in my area metropolitan trauma/emergency room seeing trauma, grief and loss, addiction and family dynamics first hand and part of my hospital’s CISD team (Critical Incident Stress Debriefing/Defusing Team). Practice: I am currently studying for my CCTP (Certified Clinical Trauma Professional) through the IATP (International Association of Trauma Professionals). I use dialectical behavioral therapy, narrative therapy, motivational interviewing, strengths perspective counseling, solution focused brief therapy, as well as hypnotherapy. I have worked in hospice settings, nursing homes, early childhood development settings and private practice as a counselor since 1998. Experience: My counseling experience of 18 years has reinforced my belief that all of nature tries to move into health and healing. We can support that effort in many ways. It would be my great pleasure to help you become, achieve or have what you desire in life using win/win strategies. You are more powerful than you know! International Association of Trauma Professionals since 2015. American Council of Hypnotist Examiners since 2001. Better Business Bureau, with A+ rating, since 2006. National Association of Social Workers since 2010. Emergency Nurses Association since 2012. Washington State Nurses Association/American Nurses Association since 1979. I have clients in Oregon, California, Idaho, Nevada and Colorado. Those out of area appointments are handled by phone. 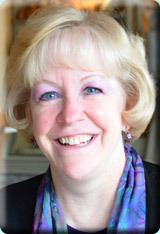 Kathy Jo Avery, RN, MAT, CHT MSW.